In the late 19th century, the first railway lines meandered through the Mpumalanga Lowveld, built to carry gold from Phalaborwa to Lourenço Marques in Moçambique. Further south, on the Selati Line, passenger trains arrived into Newington Station, with conductors peering up into the trees against which were long ladders which was provided by the railway company to enable travellers to climb to safety, away from the lions which prowled the area. 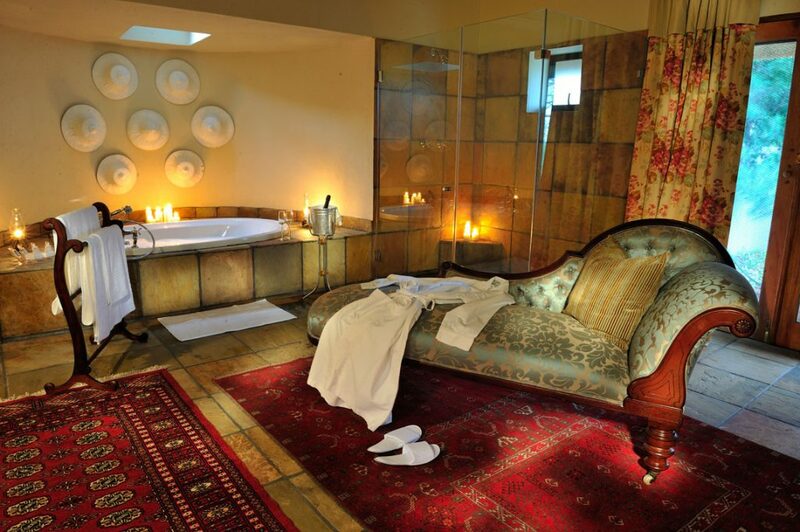 Each of the 8 en-suites are named after long-gone railway stations. The comfortable rooms are styled elegantly giving a vintage feel. All rooms are with Air condition. 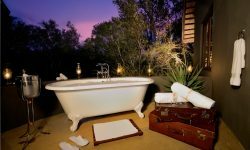 The Ivory Suite has a four poster bed with a enormous bathroom and plunge pool, comes complete with a private open safari vehicle. 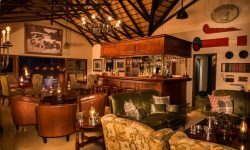 Recently refurbished, the new lounge and bar area is filled with reminders of times gone by . The outdoor boma sits beneath the stars where superb meals are enjoyed. On hot days relax by the Swimming pool while sipping your drink and watching for animals at the waterhole. Children above 13 years are welcome.